SAN DIEGO (CNS) - Authorities reached out to the public Wednesday for help in identifying a man believed responsible for an apparently random stabbing attack that left a pedestrian severely wounded in Hillcrest last weekend. 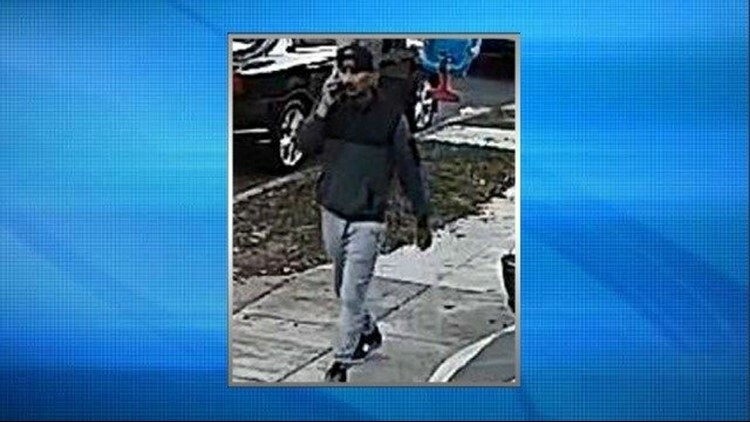 The suspect, a thin Latino who appeared to be in his mid-20s to mid- 30s, was seen walking around in the area of Essex and Richmond streets in San Diego for about a half-hour early Sunday evening, seemingly looking for someone to fight, according to police. He eventually threw a rock at a 51-year-old pedestrian and walked off, but returned short time later and attacked the same victim with a knife, stabbing him in the head and neck, police said. The assailant then fled to the west. Medics took the victim to a trauma center for treatment of severe wounds. The man, who remained hospitalized this morning, is expected to survive. A surveillance camera near the scene of the attack captured images of the suspected attacker.